Jase Andrews does not beat around the bush. A man of few words but with so much knowledge and perspective he makes up one-half of the popular four-wheel-drive and Adventure Show, All 4 Adventure. With right-hand man, Simon, they gallivant across the Country showing how remote they can go and how they use the available resources around them. It's the real deal. 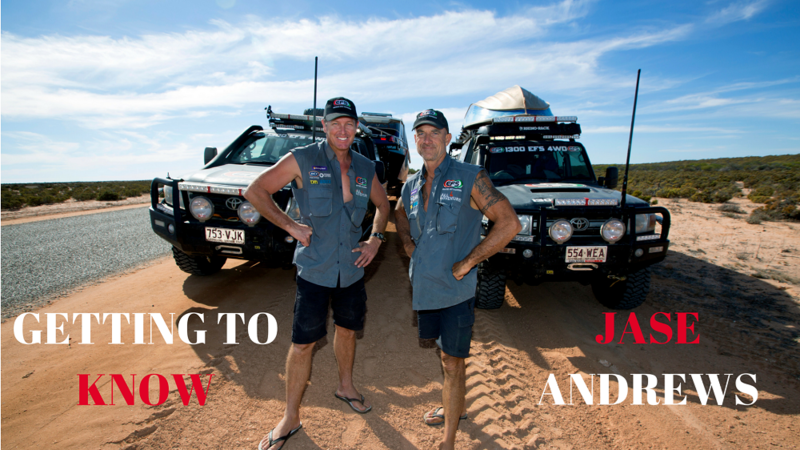 We spoke to him recently about the All 4 Adventure life. Read it here. 1. When you started All 4 Adventure, did you ever imagine it would take off as well as it has? No, I never imagined it would become the number one outdoor show on Aussie TV. I pinch myself every day. 2. In your own words, why do you think All 4 Adventures appeals to so many Aussie viewers? Because it’s two Aussie blokes out having a good time creating entertaining television. We keep it real and avoid the BS. 3. You’re no stranger to living the life on the road, what is your number one tip you’d give to someone who wants to drive across Australia for the first time? Having a reliable vehicle and preparing for what Australia can throw at you. Pretty much what we drive now. We have set up enough vehicles to know what works and what doesn’t. 5. What are your top three gadgets you have installed in your vehicle? Hema Navigator, Redarc Manager 30, Sat-Sleeve for iPhone. 6. What is your best off-road destination and where haven’t you been yet? I love Honeymoon Beach in the Kimberley and am yet to go north of the Roper River in the NT. Everyone seems to love my bread and butter pudding. 8. What is the best part of your job and what is the hardest? Best part is I get to see the most remote parts of Australia. The hardest part is leaving my family behind for long periods of time. 9. Favourite tune to play on the drive? 7 years by Ben Schuller. Sitting around the campfire with an icy cold beer having a yarn about the day with Simon. 11. We’ve been working together now for a few years, what do you feel makes this partnership so successful? REDARC's products are an integral part of our set up that we know we can rely on. By using these products in real world environments we feel we offer REDARC credibility and honest feedback on how the products perform in extreme environments.